Ram...briefs...yes sir, may I have another.... No these aren't dirty words from the hit book Fifty Shades of Grey, they're words you may hear every day in the advertising industry. 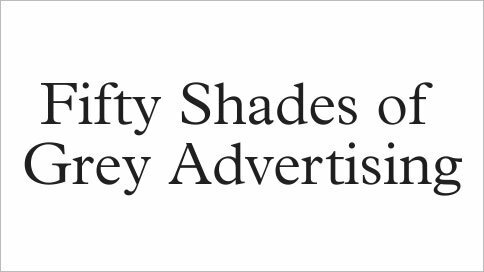 Even if you haven't read the book you might appreciate the blog Fifty Shades of Advertising that presents daily scenarios from the workplace in a humorous, "fifty" fashion. Or maybe you won't, because if you may come to realize that you are in fact a submissive. The average lifetime value per customer for your business is largely dependent on your industry, customer spending habits and length of time they are likely to be using your product or service, plus market factors.